Discussion in 'classic' started by topoxforddoc, Apr 27, 2014. My apologies for hijacking the TRON thread. As a few people are interested in this, I thought I might start a new thread. I know there is a 133 page thread about them on the Lenco users page, but do people want to discuss them here? Anyone else into Decca cartridges? Hi Charlie - you piqued my interest on the other thread. I know nothing about these, are the 'London' range, as a new purchase comparable? Do you use an MM or MC phono stage for these?? Sorry to sound so amateur - but i know so little about these beasts! These are a unique moving iron design, which mimics most closely the mastering of the LP with a cutting head. Here is first a side view and then a frontal view of the generator assembly. It has "vertical right angled cantilever", which is hinged at the back. Like most cartridges, it has two lateral coils, but unusually it only has one vertical coil. The original catridges were called FFSS (Full Frequency Stereo Sound), to go with the FFSS records, which Decca produced at the time. 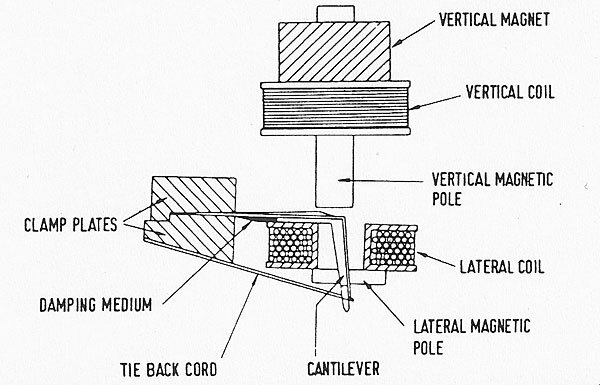 The first 4 iterations (Mark I - IV) came with a speciall integrated headshell, which had a special Decca fitting (on the Decca International arm). There was a SME adapter made to allow these to be fitted to a standard SME tonearm. With the Mark IV, they also produced cartridges with a standard 1/2 inch fitting, so that they could be mounted on any tonearm. These were the RC4 (conical tip), C4E (elliptical tip) and the SC4E (specially selected C4E). The Mark V is also commonly known as the Blue (domestic) and Grey (export version) and introduced the plastic mount, which continues with the Mark Vi (Maroon, Gold and Super Gold). Until recently, the Decca cartridge mounts had only 3 pins (rather than 4), so the ground from the two channels on the tonearm leads need to be attached to the single ground pin. Sometimes, you might get away with attaching only one lead and leaving the other ground lead free. The Decca brand was sold to Tatung electronics (I think) when the Decca Special Products department folded back in the late 80s. John Wright, who worked at Decca SP, then bought the rights to the cartridges and started to make them under the London brand. JW then went on to refine the cartridges, producing first the Jubilee and then the Reference. They are high output cartridges and will go straight into a standard MM phono input. A 47k loading is fine, but some say it works better on a 33k loading (which I have). Sound wise, they are probably the most live sounding cartridge ever made. They can sound a bit edgy at times, if not properly set up. There are stories about Deccas ripping up the grooves in your LPs. These are fairy tales. I have been using deccas for 35 years and not had any problems, which might not be associated with poor care (eg using dirty stylus, poor set up, worn tip etc). I think I now have 5 Deccas. I use the rebuilt (by John Wright) SC4E in my Trans-Fi Terminator, but also have a C4E, a 78-shod rebuilt mark V, a rebuilt mark V in a wooden body and an SH4E. The dynamics are fantastic and they track fine, but you do the need the right arm I suspect. I usually play The Jam's 'Start!' to disbelievers. You're a lucky man with 3 Mk IVs. It took me 3 years to find my C4E, and then less than a fortnight for JW to rebuild it. I also have a Garrott Brothers Gold (retipped by JW) and an old Maroon, which needs a rebuild some time. I have thought about trying a Terminator, as I have had great reports about them and Deccas. But as I have 2 AO rebuilt Hadcocks, I don't really need one. I used a Decca London years ago, in a Hadcock arm. It destroyed many records. Be careful. There are stories about Deccas ripping up the grooves in your LPs. These are fairy tales. I have been using deccas for 35 years and not had any problems, which might not be associated with poor care (eg using dirty stylus, poor set up, worn tip etc). thanks for starting the thread, Charlie. It's often said that arm choice is critical with Deccas. it would be very helpful to know which arms work particularly well, and what characteristics are desirable. It's your records. Unlike when I tried a Decca London - several brand new ones courtesy of the local Hifi shop, in a well set-up Hadcock - you can't easily replace your vinyl nowadays. So be careful! They sound great, in a sort of visceral seat-of-the-pants way, on the less heavily modulated bits of a record, but when the record gets wiggly they can't really hang on in there. when I first fired up my new decca blue, I was quite taken aback. I'd heard all about the "visceral seat of the pants" stuff, and was expecting a rather unusual highly coloured sound. but what I heard was simply an extremely fine cartridge with exemplary tracking that excels on all types of music. I know that a few people have had nightmares with their vinyl. However I've been using Deccas regularly for 35 years and my vinyl is still fine. Maybe I'm a bit more pedantic about set up and record cleaning. As for tonearms, the traditional choice was a damped unipivot e.g. Hadcock. Parallel trackers like the Terminator T3Pro are also a good match. I have used a Schroeder too, which is a bit like a magnetic strung unipivot. are the Nottingham analogue arms regarded as a good match? I like them a lot, or rather I like some of them a lot. Ran one for a couple of years in an Ittok/LP12 and it worked fine. It was a SuperGold but the early version using the VDH stylus. Very good and clean tracking/tracing. Had a Garrott Bros Microscanner Gold with a GB clamp for a while too and that was nice, though still quite to the original SG standard IMO. Tried a newer SG a few years ago and didn't like that so much. It no longer uses a VDH tip but a quite fat LC profile, and I could hear the IGD from it unfortunately. I think that given the sometimes marginal tracking from these carts, a very fine quality tip like a VDH or ML helps keep the thing locked to the groove. I'd certainly like to play with them again since the arm I now use (original 774) is reputedly a good match with it's fluid damping. Perhaps when the money god smiles down I'll buy another and get VDH to rebuild it. Deccas produce a lot of energy (resonances) due to their design and the vertical cantilever. Unipivots are said to handle this energy better than gimbal bearing tonearm designs. Graham, isn't the vertical compliance around 4-5cu? That's extremely low and will certainly drive an arm hard. They have much higher lateral compliance which is around 20-25cu IIRC. Makes finding the ideal arm difficult, and likely why damping is recommended since it will lessen the effects of any mismatch - and there will be one with any conventional arm. Unipivots of course usually have damping so no surprise they've been favoured. I think you want the mass; I think it helps keep the stylus in the groove. The 4s are much better than the Vs, and they are a lot heavier with their Bakelite bodies, I think this is more significant than any difference in coils and magnets. Deccas produce a lot of energy (resonances) due to their design and the vertical cantilever. . They sure do! You don't have to be very close to hear them zinging along with the music! Patrick, yes many say the 4s are better. They certainly look more solid and less resonant. That's what I'd be looking at next time when the itch must be scratched. The body on the V models is very resonant and sings along merrily. Not necessarily a bad thing subjectively but it sound impart some character. The V worked very well in the Ittok which is quite massy, and the LP12 was an '86 standard Valhalla spec so had some of the old Linn warmth. The synergy of the combo was pretty good. are the Nottingham analogue arms regarded as a good match?. The Notts arms are a perfect match - in fact, they were designed using Deccas.